Rory McIlroy battled back from a poor start to claim his second straight major title in the fading gloom of Valhalla Sunday with a one-shot victory over Phil Mickelson in the PGA Championship. Darkness had enveloped Valhalla Golf Club. A soft rain was falling. A bolt of lightning flashed over the clubhouse. The most dramatic men's major championship of the year was finishing under the most bizarre circumstances one could imagine: with a mad dash to the finish. 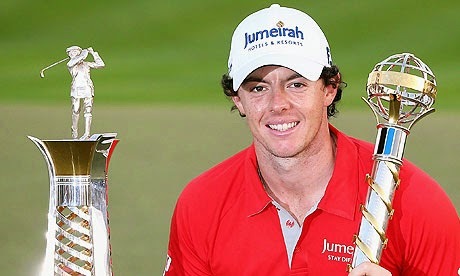 McIlroy was winning the Wanamaker Trophy for the second time and his fourth major, consolidating his status as world number one.